Mix Life's Good Butter Chicken Paste with yoghurt to form a smooth paste. Stir through chicken pieces in a bowl to coat evenly. 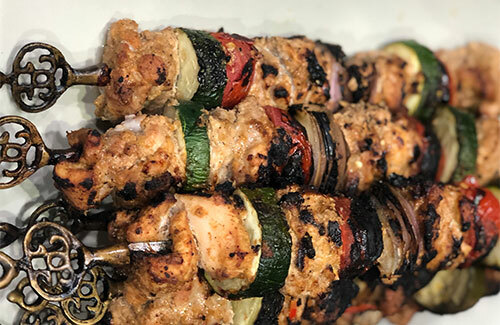 Thread onto skewers, alternating chicken with onion, zucchini, and tomato pieces. Cook on a BBQ grill plate, under oven grill or in frying pan. To serve, sprinkle with fresh coriander leaves and a dollop of yoghurt. TIP! Serve with a crisp Asian salad or on a bed of rice with a squeeze of lime juice.